EP4RECORDS BLOG » “Sandbox” Is This Your Relationship? “Sandbox” Is This Your Relationship? 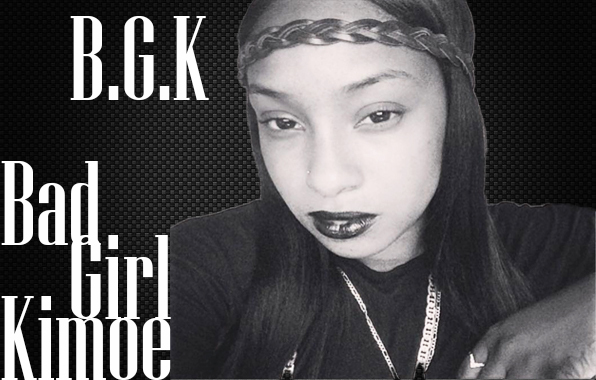 EP4Records Announces Release of new Song “Sandbox” From Boston Hip Hop Artist BGK (Bad Girl Kimoe) Rising Boston, MA hip hop/pop star BGK (Bad Girl Kimoe) recently dropped her new song “Sandbox” on EP4Records showing off her smooth lyrical skills over an emotional beat, rapping about the perils of young love. Fans couldn’t be happier. January 3 , 2016 Boston hip hop is alive and well. 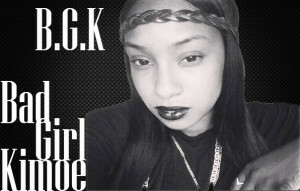 Just ask BGK, short for Bad Girl Kimoe, who has an ever increasingly solid reputation of being not only a great lyricist, but also for her delivery and authentic aura. Her latest song “Sandbox” recently dropped, breaking down all the issues that come along with young love, and giving advice to the girls and women out there caught up in similar experiences. “Your tomorrow starts today,” commented Kimoe. “That’s the most important part of what I’m saying on ‘Sandbox’ and I hope its a lesson my fans take to heart.” According to the artist, the new single is on Boston-based EP4Records and features LoRee Monet singing on the hook. Listen Here: https://www.reverbnation.com/BGK1/song/24719945-sanbox-kimoe-ft-loree-monet Buy Here: https://play.google.com/store/music/album?id=Bvarzwgd6ttasszcnbdusdhnr3m&tid=song-To4dcammbcq6st22fkc47mbvody&hl=en For more information contact us at (ep4records@gmail.com).